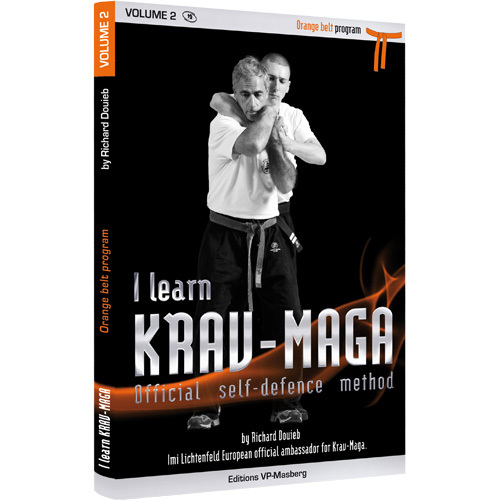 This is the popular “I Learn Krav Maga” FEKM Krav Maga training manual collection by Richard Douieb which also exists as a set of companion DVD’s DVD for every belt level. 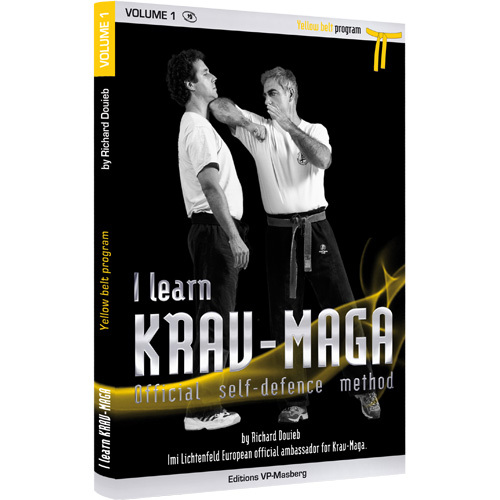 These manuals will allow you to understand the fundamental Krav-Maga techniques through a series of detailed pictures and practical advice. Falls, punches, defences, kicks and releases… you will get to know everything about the required techniques to approach your FEKM Belt exams. Several thousand people are now learning the successful martial art of Krav Maga all around Europe. They are men and women, old or young, and Richard Douieb is working hard to protect the richness and ethics of the teaching of Imi Lichtenfeld, the founder of Krav-Maga who was his master and his friend. In order to allow the largest number of people to discover how efficient the techniques of Krav-Maga are, the determined ambassador of this method of close combat (krav maga in Hebrew) has worked hard to create an official technical program which can be found in the Krav Maga training manual for each belt. Richard Douieb is a self defence expert and was the first one to promote Krav-Maga in France and in Europe by introducing a simple and very complete teaching method. Richard Douieb is aware of protecting the ethics of his art which is sometimes misshaped by aggressive or militaristic speeches, and he never stops developing Krav-Maga with his team of highly trained individuals. Am new to Krav so keenly aware of how much I have to learn, even at the basic level. This book provides full, in-depth illustration for each of the required techniques and as such I’m confident it’ll really help improve my abilities. Highly recommended! What is FEKM Krav Maga? © Copyright Close Combat Clothing. All rights reserved.